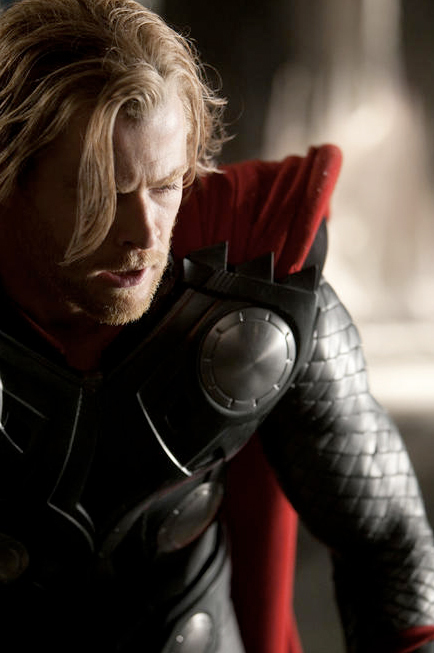 We finally have a photo of Chris Hemsworth as Thor. He pretty much looks just like the comics. For those keeping score, Chris Hemsworth rocked as George Kirk (thanks Pete) in the latest Star Trek movie (TGW review), so hopefully he can do the same thing when he brings everyone’s favorite Thunder God to live on May 6, 2011. I want to see him swing mjolnir (his hammer). Good catch Pete. This is what happened when I rush to get a post up.